Professor P.N. 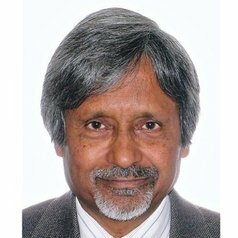 (Raja) Junankar is Honorary Professor, Industrial Relations Research Centre, University of New South Wales; Emeritus Professor, University of Western Sydney; and Research Fellow of the Institut zur Zukunft der Arbeit (IZA) in Bonn, Germany. Prof Junankar was born and brought up in India, and his university education was in the UK. He obtained a B.Sc. (Econ) and M.Sc. (Econ) from the London School of Economics, and a Ph.D. in Economics from the University of Essex. He has held research and teaching appointments at the Universities of Durham, Essex, and Warwick in the UK, and visiting appointments at Northwestern University in the USA, Queen's University in Canada, University of York, UK, the London School of Economics, the Indian Statistical Institute, New Delhi, India, L'Universite Pantheon-Assas, Paris II, University Lumière Lyon 2, Lyon, IZA, Bonn, Germany, Economics Program, Research School of Social Sciences, ANU, and the University of Gezira, Sudan. He was a Reader in Economics at the Australian National University between 1988 and 1997. He has been a Professor of Economics at the University of Western Sydney, since January 1998 and Head of Department from 1998 to 2000.